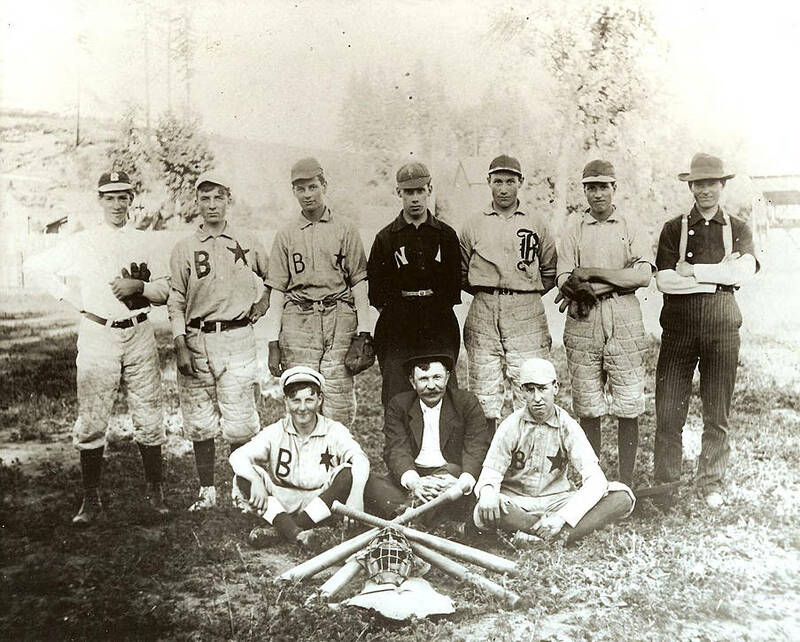 Group photo of the Banks baseball team, The Stars, taken about 1906. Standing, left to right, is Jack Vandomelen, Charles Wunderlich, George Reiben, Will Young, Mort Rainwater, Ellis Taylor, and Otis K. Purdin. Seated, left to right, is Roy Fields, John Miller (the Manager) and Billy McPherson.